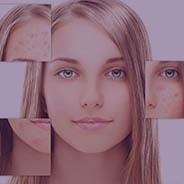 Patient with post-acne scarring suffer more psychologically than physically, very often, acne scarring is seen as more severe by the person with the scarring than by others. Unfortunately it is not particularly well treated with an holistic approach including acceptance of the scars and the aim should be improvement, not cure. The best way to prevent acne from leaving a permanent scar is to stop acne from scarring at all, or at least, to prevent the bad and extensive scarring. Prevention of future acne scarring is the first course of action, with progressive treatment, as well as educating the patient to left the lesions untouch by themself. Once acne is under control, surgical scar revision is an option for the scars that have already formed. However, scarring is a permanent condition, so scar treatments may improve the condition but rarely remove it. There are several options of treatment, some of older technology with inconsistent results, more potential adverse reaction and long down times. Fortunately with the advance of medical technology, most acne scars can be treated quite well with predictable results and without facing higher risks and longer down times. combination treatments yields better and faster results. Depending on the dermatologist or plastic surgeon and his or her level of expertise, technology used as well as the topography of a person's skin, surgical results vary widely. Most facial scars consist of different types of scars, which may need different kinds of treatments. New laser devices can treat more than one type of scar at the same time. 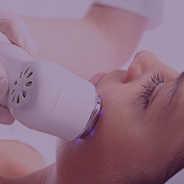 Currently, fractional laser therapy has assumed a more important role in the treatment of acne scars, because it is user-friendly, offering predictable results and a much shorter down time. Both ablative fractional lasers and non-ablative fractional lasers as well as non laser treatment will be discussed. Atrophic acne scar is an essential but difficult issue for dermatologists. Laser resurfacing can treat boxcar and rolling acne scars. Icepick acne scars are much difficult to treat and respond better to surgical interventions. Treating atrophic acne scars is challenging, and the clinicians often performed combined modalities to optimize the results to obtain the satisfying outcome for atrophic acne scars. To develop feasible techniques based on the pathophysiology to treat the atrophic acne scar with good safety and efficacy. 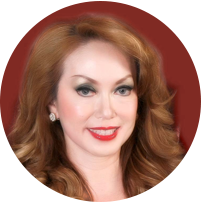 We introduce a combined therapy ("SPF" methods) for atrophic acne scar. 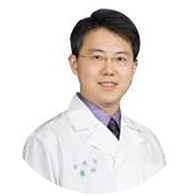 It is composed of subcision/surgery, PRP, and ablative/ non-ablative fractional lasers. Subcision is a simple method to facilitate the efficacy. Fractional lasers compose nonablative fractional lasers (NAFL) and ablative fractional lasers (AFL) with clinical response and acceptable adverse effects. We can achieve better results by performing both NAFL and AFL. PRP injection enhances recovery of laser-damaged skin and synergistically improves the clinical outcome of acne scarring. During the injection procedure, the clinician performed the subcision for the underlying fibrosis of the acne scar. For patients with higher expectation, we combined SPF methods with monopolar radiofrequency to further stimulate neocollagenesis. We improved the appearance of the atrophic scar with great satisfaction and observed no significant adverse effects. However, the scar still cannot be completely smoothened unless we treat it in the early stage. Besides, monopolar radiofrequency can facilitate the SPF methods to improve the treatment outcome. The combined therapy can make the atrophic scar better. It can provide the clinicians and patients another choice with safety and efficacy to treat the disfiguring sequelae of acne. The experiences and techniques will be discussed and demonstrated with video at the conference. Laser treatment of scars was first reported in 1980s using continuous wave carbon dioxide (CO2), argon and neodymium:yttrium-aluminum-garnet (YAG) lasers. Results were operator-dependent and scar recurrence or worsening were observed. Recently, fractional photothermolysis have been investigated. Fractional photothermolysis is characterized by the creation of microscopic zones of thermal damage with spatial separation between the columns of damaged tissue and the columns of untreated tissue. The depth of each column can be controlled by the pulse energy. 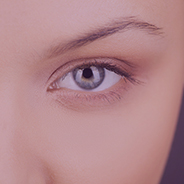 With nonablative fractional resurfacing, a parallel column of heated, but not ablated tissue, extends down into the dermis. The same concept has been expanded into ablative fractional resurfacing by using the carbon dioxide wavelength of 10,600 nm. In comparison with the nonablative fractionated devices, the fractional ablative lasers heat tissue much more intensely, causing vaporization of tissue while significantly heating adjacent dermal collagen. The immense volume of collateral heating causes thermal alterations of the helical structure of collagen molecules and results in tissue tightening. The depth of the heated tissue is determined by the pulse energy. 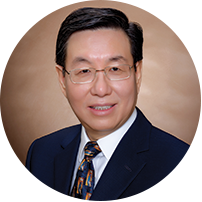 Traditional CO2 laser resurfacing has been the gold standard, results were operator-dependent and scar recurrence or worsening were observed. Fractional devices are the new technologies, which enable us to treat scars in a predictable, efficacious, and safe manner. Fractional radio-frequency is also effective with low complication rate in Asians. Patients with hypertrophic scars have an early increased microcirculatory perfusion. Selective photothermolysis of the increased vasculature in scar by PDL may prevent scar hypertrophy through a decrease in cellular function/nutrition within the scar. Hypoxia induced by laser destruction of capillaries may alter the ratio of collagen metabolism so that the catabolism becomes dominant.